Time to de-stress, detox, and generally recover from those holiday indulgences, parties, and other excesses (such as going too long without sleep). There is a sure-fire way to do this. You need to add a spa touch to your tea time, and here’s how! Massage — You get a trained professional who knows how to rub you the right way (sorry, couldn’t resist)! 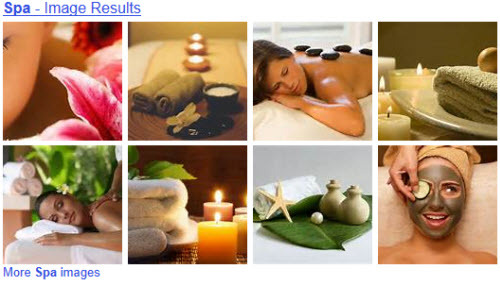 Types of massage: Swedish, Couples, Deep Tissue, Foot, Reflexology, Shiatsu, and Tui Na. Facials — They usually begin with a cleansing and analysis of the skin under a bright light. Then, the process usually consists of: Exfoliation, Extraction, Massage, Mask, and Moisturizer. The main determining factor here is your age. The other is your skin type. Body Scrubs — The usual types are dry, fruit, sugar, and salt scrubs. Yeah, sounds a bit odd being scrubbed down with salt — after all, you’re not a pretzel. Getting off layers of dead skin cells and stimulating blood flow are the usual goals. Body Wraps — Just as the name implies, your whole body gets wrapped, with the goal of improving skin appearance, metabolism, etc. Types: Algae/Seaweed (rich in vitamins and amino acids, absorbed through the skin), Cellulite (reduces dimpled skin), Herbal (to heal and detoxify), Mud (for increasing circulation and removing toxins from the skin), Slimming (solution-soaked wraps to release excess fluids). Hair/Nail Services — Basically cosmetic in nature, including: Eyebrow and Lash Tinting, Hair Styling and Care, Hair Extensions, Lash Extensions, Makeup Instruction/Application, Manicures, Pedicures, Waxing. Water Treatments — Hydrotherapy (saunas, whirlpool baths, baths, and wraps), Scottish Hose (hot and cold water sprays to the body), Thalassotherapy (seawater and marine-based products), Vichy Shower (overhead jets release water of varying pressures), Watsu (massage and dance-like movements performed in water). Energy Work — Reiki (Rei meaning spiritual consciousness and Ki meaning life-force) practitioners claim to see the flow of life-force through the body. Others — Varies by spa, and some are too yucky to even mention here. First, relax, there is no need for you to go to such extremes as wrapping your whole body in some weird substance or Saran Wrap, or getting scrubbed down with salt. A few simple touches can give you the main things that you get at most spas: a relaxing atmosphere and a feeling you are being pampered. Candles — Yes, plural. A single candle is just plain wimpy and leaves things too dark, meaning you need lights on or have to hold your tea time in the daylight hours with a curtain or two open. Several candles add sufficient light and can allow you to indulge after the kids are in bed or simply as a way to relax before your own bedtime. Wardrobe — The key here is comfort. And sufficient warmth. Wear a comfy robe or at least comfy clothing and items that will keep you warm enough so that you don’t feel chilly. That would include your feet, which would feel good in extra thick and soft socks with or without fuzzy slippers. Proper Setting — Tea in the bathtub is certainly one option. But if you don’t like your fingers and toes getting all wrinkly, or if you don’t have a bathtub, or are simply the type who doesn’t enjoy that long soak, there are plenty of options. A cozy corner with a comfy chair (and those candles, of course) is a great choice. If you have a fireplace, light it up and sit on the floor in front of it. And then there’s tea in bed. The Right Touches — An extra cushion or two and a soft throw or blanket that will keep you feeling warm and safe are the best options here. Being Served — Nothing beats having someone prepare and serve your tea and treats to you. Or, for that matter, in helping you with the three items above. Few of us have such luxuries as valets and personal maids, but then, that’s what spouses are for! At least, occasionally, they can fill that role. Tuning Out — Yes, shutting out the rest of the world can certainly make you feel pampered, in this case by yourself. You are focusing on you. No phones, emails, social media tweets and bleeps and boops, and no family, friends, and neighbors. You get to choose the tea just right for you and the perfect food accompaniments, if any. Set aside that list or resolutions for the new year, that pile of thank you cards you have yet to send out for the various gifts received, and the thought of getting the kids ready to go back to school. Have some “me and tea” time in spa-like fashion!